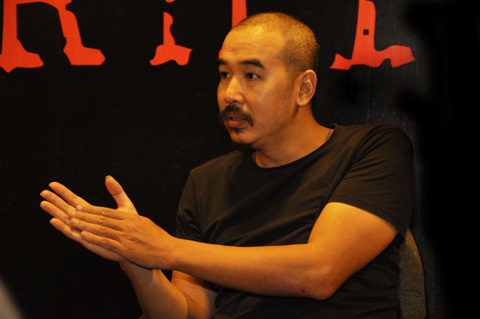 After a series of highly artistic and controversial films such as Song Trong So Hai/ Living in Fear and Choi Voi/ Adrift, award winning director Bui Thac Chuyen is ready to dive into a new genre of films: Horror. 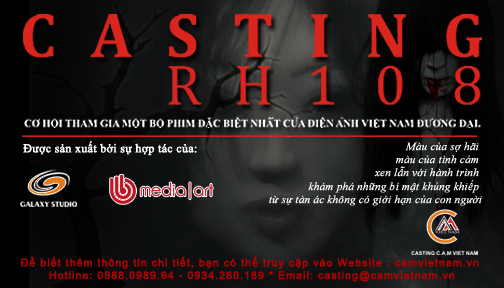 While this type of genre is still in its infancy in Vietnam, Director Chuyen hopes to change this with Rh108. In collaboration with writer Bui Kim Quy, the script took nearly one year to perfect. According to the director, the film plays with audiences’ emotions, stirring a looming mysterious fear that captures their curiosity from beginning to end. The director has chosen to stay mum on the subject to keep everyone on edge. Smart move, I’d say. Instead, he did reveal one thing; he’s currently looking for talent but experience is not needed. Casting will take place through various means such as schools and professional arts center in coordination with a network of collaborators nationwide. Castees at the first casting session held in Hanoi even included familiar faces such as famous beat-boxer Minh Kien, Van Anh, MC Thanh Trung and model Linh Son. The movie is currently predicted to be due Summer or Fall 2011. Hopefully then, we’ll get some answers regarding the enigmatic name: Rh108 (sounds like a scary new element that I’ll never be able to remember. *shivers*Chemistry*shivers* -B). Maybe RH108 is just a code name for the movie, because the Director have not decided the Movie’s Name yet so he’s just giving it a code name.. or something..